Sonrisa is the Sustainability Strategist in the Office of Denver Mayor Michael Hancock. A Sustainability Engineer with eight years of experience, she brings with her a deep knowledge of energy resources and all facets of sustainable buildings and their impact on the natural and built environment. Sonrisa has guided over eleven buildings to LEED Certification, including the highest benchmark a building can achieve: LEED Platinum. She has executed complex Energy Savings Performance Contracts, led diverse teams in understanding, articulating and meeting sustainability goals, and been a successful entrepreneur. A self-described environmentalist and socioeconomic activist, Sonrisa has for years been an enthusiastic supporter of Groundwork Denver. Sonrisa is a graduate of Stanford University and is fluent in English and Spanish. She is a Denver native. 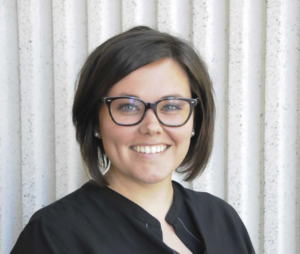 Ashton Blaha is a Talent Management professional at Bank of the West. Ashton’s work focuses on the succession planning, performance management and creating leadership programs. Before joining Bank of the West, Ashton worked in the staffing industry for high volume customer service and higher education collegiate recruiting. She has a Master’s degree in Organizational Management with a specialization in HR. Ashton has been an advocate for sustainability around urban gardening and in her spare time enjoys hiking outdoors and rock climbing. Susan Bonsall Rosenberry is a Community Leader who serves on numerous non-profit boards in Denver and Larimer County that focus on environmental issues, social justice, education and community service. Susan has been the Director of Leading Learning Communities, a top management consulting firm; Executive Director of the Colorado Environmental Coalition; Executive Director of Earth Day USA; Regional Director of the Stewardship Community; Regional Director of Renaissance Business Associates; and a Marketing and Communications Specialist at Rutgers University. She received her B.A. from the University of Colorado and her M.A. from Rutgers University. Susan plays her flute in three groups, is an oil painter and is a Master Gardener with Larimer County. Makalah is a marketing professional who currently works as a Media Relations Assistant for the Denver Nuggets and Marketing Manager for the outsourced nonprofit accounting firm, NFP Partners. Makalah also serves as an associate for the Leadership for Educational Equity. For eight years, Makalah was employed by Groundwork Denver, first working as a Green Team member and supervisor then as the nonprofit’s Volunteer Outreach and Communications Coordinator. 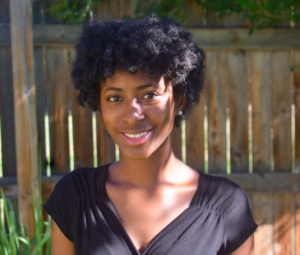 Her love for the outdoors and environmental justice began on her first day with Groundwork Denver and has only grown since. Along with a deep passion for Groundwork Denver’s mission, Makalah brings years of marketing and event planning experience to GWD’s Board. Makalah graduated from the University of Northern Colorado with a bachelor’s degree in journalism with an emphasis in public relations and advertising and double minor with psychology and Africana studies. The Denver native loves to travel, visit small coffee shops, and watch professional basketball. 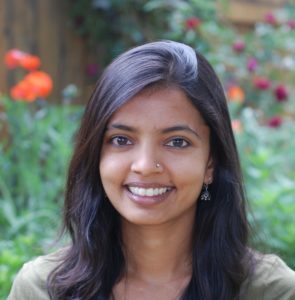 Carishma is a Project Leader at the National Renewable Energy Laboratory. With nearly two decades of work experience in the U.S. and abroad, her work focuses on providing technical assistance to developing country governments with clean energy planning and strategy. Carishma also supports renewable energy and microgrid projects, power sector transformation activities, energy resilience planning, and assists communities with energy transitions. Before coming to NREL, her work involved overseeing activities ranging from strategic planning, building partnerships and new initiatives, to outdoor stewardship, mine reclamation and watershed management. Raised in India, she was educated at the University of Mumbai and at Yale University, where she earned a Master’s in Environmental Management. She loves playing outdoors in Colorado, traveling with her husband, and looking for bugs in the backyard with her kids. Christine Jochim is an attorney with the national law firm Brownstein Hyatt Farber Schreck, LLP. 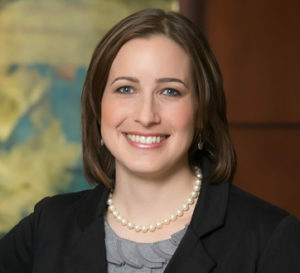 Her law practice concentrates on energy, environmental and natural resources compliance counseling and federal policy, litigation and government enforcement. Prior to this, Christine was an attorney with the U.S. Nuclear Regulatory Commission in Rockville, Maryland, and the international law firm K&L Gates LLP in Washington, DC. Christine holds a JD from University of Maryland Francis King Carey School of Law, an MPH from the University of Maryland School of Medicine, and an AB from Hamilton College. Christine grew up in Colorado and spends as much time as she can outdoors either in the mountains or around town. Erik Nielsen is a senior attorney at Leprino Foods Company, one of the largest dairy-products companies in the world. 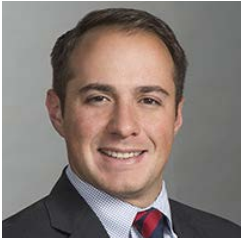 Erik’s work focuses on resolving complex environmental, land-use, construction, and other related legal issues for Leprino. 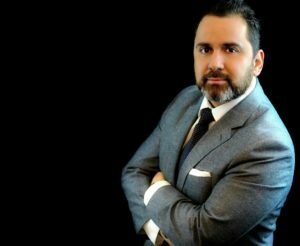 Before joining Leprino, Erik worked as an attorney in the Commercial Litigation group of Snell & Wilmer L.L.P., and held a clerkship on the Colorado Court of Appeals. Prior to relocating to Colorado in 2014, Erik worked as an attorney at the U.S. Environmental Protection Agency, clerked for a Justice on the Vermont Supreme Court, and spent two years in a boutique-regulatory firm in Vermont. Erik has a B.A. from Rutgers in Urban Planning and Public Policy, and a J.D. from Boston University School of Law. Erik lives in Sunnyside, Denver with his beagle mix, Charlie, and spends nearly all of his free time exercising outside. Migrating from Mexico at age 16, Cesar worked harvesting crops while attending high school and learning English. Cesar received his Bachelor’s degree in Political Science from the University of Northern Colorado and graduated with an MBA from the University of Phoenix. Cesar has been an advocate for minorities within the Denver Metro area, helping migrant students to advance, assimilate, and have opportunities to continue to learn and grow. His involvement has included volunteering to instruct GED classes to ESL students, and teaching financial literacy classes to high school students. In his free time, Cesar likes to spend time with his family and his two dogs. Chris works to preserve the best of Colorado’s parks, open spaces, wildlife, rivers, and trails as a program coordinator with Great Outdoors Colorado. His decade-long involvement in conservation began as an undergraduate Ecology major and researcher at Santa Clara University. 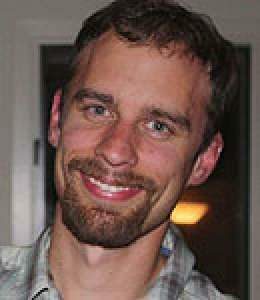 As a landscape ecologist with The Nature Conservancy, he published several peer-reviewed articles on various conservation topics. He is a former Doris Duke Conservation Fellow and Colorado Open Lands Conservation Fellow and earned a master’s degree in Environmental Management from Yale University. Outside of the office, Chris is an avid mountain biker always looking for new places to explore on his single speed.